The OpenFog Reference Architecture will serve as the basis for a new working group formed by the IEEE Standards Association (IEEE-SA) to accelerate the creation and adoption of industry standards for fog computing and networking. The future standards will serve as a significant catalyst for advanced Internet of Things (IoT), 5G and embedded artificial intelligence (AI) applications. Fog computing and networking is an advanced distributed architecture that brings computing, storage, control, and networking functions closer to the data-producing sources in the cloud. Applicable across industry sectors, fog computing effectively addresses issues related to security, cognition, agility, latency and efficiency (SCALE). The inaugural meeting of the IEEE Standards Working Group on Fog Computing and Networking Architecture Framework is scheduled for November 2017, with its work expected to be complete by April 2018. The OpenFog Reference Architecture is a universal technical framework designed to enable the data-intensive requirements of IoT, 5G and AI applications. It is a structural and functional prescription of an open, interoperable, horizontal system architecture for distributing computing, storage, control and networking functions closer to the users along a cloud-to-thing continuum. The framework encompasses various approaches to disperse information technology (IT), communication technology (CT) and operational technology (OT) services through an information messaging infrastructure as well as legacy and emerging multi-access networking technologies. The OpenFog Consortium was founded in November 2015 and represents the leading researchers and innovators in fog computing. Microsoft has added Cray supercomputers alongside its Azure cloud offering in certain datacentres. This will broaden the availability of supercomputing to new markets and new customers, says Cray, which will jointly engage with customers to offer dedicated supercomputing systems to run AI, advanced analytics, and modelling and simulation workloads seamlessly connected to the Azure cloud. The deal brings the advantages of Cray’s tightly coupled system architecture and Aries interconnect to a new set of customers who were previously unable to purchase or maintain an on-premise Cray system. This will allow researchers, analysts, and scientists with the ability to train AI deep learning models in fields such as medical imaging and autonomous vehicles in a fraction of the time. Automotive and aerospace product engineers can now conduct crash simulation, computational fluid dynamic simulations, or build digital twins for rapid and precise product development and optimised maintenance. Geophysicists in energy companies can accelerate oil field analysis and reduce exploration risk with improved seismic imaging analysis performed in days and minutes, not months and weeks. As part of the partnership agreement, the Cray XC and Cray CS supercomputers with attached Cray ClusterStor storage systems will be available for customer-specific provisioning in select Microsoft Azure datacentres, directly connected to the Microsoft Azure network. The Cray systems easily integrate with Azure Virtual Machines, Azure Data Lake storage, the Microsoft AI platform, and Azure Machine Learning services. Customers can also use the Cray Urika-XC analytics software suite and CycleCloud for hybrid HPC management. More details and sign up (although not the particular datacentres) is at Cray in Azure page. Thread is a reliable, low-power, secure, and scalable mesh networking solution that provides a foundation on which any application layer can run. The IPv6 networking protocol is built on open standards for low-power 802.15.4 mesh networks, which easily and securely connect hundreds of devices to one another and directly to the cloud without draining battery life or one single point of failure. The X-Ware IoT Platform uses Express Logic’s ThreadX RTOS and NetX Duo dual IPv4/IPv6 TCP/IP stack. This provides the benefits of NetX Duo as well as Express Logic’s industrial-grade implementations of IPv6 over Low Power Wireless Personal Area Networks (6LoWPAN), Constrained Application Protocol (CoAP), and Datagram Transport Layer Security (DTLS). The X-Ware IoT Platform contains no open source and has a small footprint, automatically scaling to use only what is needed by the application, making it perfectly suited for the smallest low-power IoT devices. The X-Ware IoT platform supports a wide range of standards, with IEC 61508 SIL 4, IEC 62304 Class C, ISO 26262 ASIL D, EN 50128 SW-SIL 4, UL 60730-1 Annex H, CSA E60730-1 Annex H, IEC 60730-1 Annex H, 60335-1 Annex R, and IEC 60335-1 Annex R, 1998. Once certified, other developers will be able to confidently leverage the entire X-Ware IoT Platform solution, including the safety-certified FileX, GUIX, and USBX solutions and technologies, knowing it will seamlessly connect to other Thread-certified devices. Development tool vendor IAR Systems has teamed up with Secure Thingz to provide new technology that simplifies the development of secure, connected devices. With the rapidly evolving IoT comes an urgent need for new ways of ensuring security across development, production and use of connected products. Manufacturers must find strong and efficient methods to protect their brands as well as prohibit counterfeiting or overproduction, and should integrate these methods as part of their regular workflow. To meet these demands, development tools must evolve to encompass security and facilitate the production of secure IoT software. Tools vendors can help by providing ways to simplify the setup of an extended and unified security workflow from development and debugging to manufacturing. This will enable an easy handover from development to mass production, as well as assist implementation of versioning and rollback policies, and simplify certificate and key implementation. The companies’ joint solutions will enable secure device identities and privileges, allowing manufacturers and users alike to establish secure supply chains of trust, from silicon device manufacturing to product deployment and updates. In April 2017, IAR Systems took a 10 percent equity stake in Secure Thingz. The investment was made because IAR Systems has a strong belief that Secure Thingz’ solutions can create the necessary security in a world of connected devices and products said Skarin at IAR. The Secure Thingz Secure Deploy architecture has been developed to solve the major security issues challenging the IoT. It uses a cost-efficient root of trust in low-cost microcontrollers to deliver a core set of critical services through the product lifecycle, alongside secure deployment, production and update infrastructure. Predictions of the IoT market are notoriously fickle, but a usually reliable market researcher has produced some very bullish predictions. The Internet of Things is here and growing exponentially, say IHS Markit. This will see the number of connected Internet of Things (IoT) devices worldwide grow 12 percent on average annually, from nearly 27 billion in 2017 to 125 billion in 2030. According to company, global data transmissions are expected to increase from 20 to 25 percent annually to 50 percent per year, on average, in the next 15 years. Unique creation of new interactions, business models and solutions. Nokia has teamed up with Bosch to help enterprises and Communications Service Providers more easily deploy industrial IoT systems from sensors through to applications. Combining smart sensor technology from Bosch Connected Devices and Nokia connectivity, IoT platform and services, simplifies the challenges for industrial IoT developers in logistics automation and tracking, environmental control and industrial automation. The combined offering is planned to be commercially available in early 2018. The initial work will focus on asset tracking, predictive maintenance and environmental monitoring use cases, with the companies currently doing several customer trials in Europe, the Middle East and Africa and commercially available solutions expected in early 2018. Nokia will provide its IoT connectivity, IMPACT/Netguard secure IoT Cloud platform and WING for IoT connectivity services using the ecosystem of mobile operators and sensing services. Bosch Connected Devices and Solutions will provide smart connected sensor devices, which enable industrial customers to improve their overall equipment efficiency and safety. The intelligent devices measure and transmit relevant environmental data based on Bosch MEMS sensors embedded in an energy-efficient architecture. The partnership will enable easier and more rapid development of solutions designed for large logistics providers, operators and industrial players. "Bosch is the world's leading smart sensor manufacturer, and we are delighted to have reached a strategic agreement with them. This combination of devices, connectivity and services from two worldwide leaders will allow for the rapid deployment of large-scale, innovative IoT applications," said Laurent Le Gourierrec, head of strategic partnerships at Nokia. Researchers at cyber-security firm Check Point are predicting a new cyber storm with a new botnet called ‘IoTroop’. While some technical aspects lead the researchers to suspect a possible connection to last year’s Mirai botnet, they say this is an entirely new and far more sophisticated campaign that is rapidly spreading worldwide. They estimate over a million organisations have already been affected worldwide, including the US, Australia and everywhere in between, and the number is only increasing. “Despite its advantages, IoT comes with a host of security disadvantages,” said Stephanie Weagle, VP at Corero Network Security. “IoT devices are most often poorly managed, patched and secured; they are prime targets for hacker infiltration and takeover. Aside from the personal privacy and security concerns that result from these security gaps, the bigger danger is that these connected devices can be harnessed by hackers for a variety of nefarious purposes; DDoS attacks are prominent amongst them. “In addition, attackers are becoming more creative and using new techniques to wreak havoc with IoT botnets,” she said. “These botnets can be rented for any duration, size and scale that the attacker pleases – aimed at any target. As we approach the one year anniversary of the massive Mirai botnet aimed at Dyn, security experts are reminded of the significant ripple effect of damage that attack had on the Internet. it’s not surprising at all that another ‘DDoS Armageddon’ is on the horizon. “The DDoS protection of today requires robust modern DDoS defenses that will provide both instantaneous visibility into DDoS events, real-time mitigation as well as long-term trend analysis to identify adaptations in the DDoS landscape to deliver proactive detection and mitigation techniques,” she added. Numerous devices were both being targeted and later sending out the infection say the researchers at Check Point. These attacks were coming from many different types of devices and many different countries, totalling approximately 60% of the corporate networks which are part of the ThreatCloud global network. Qualcomm Technologies has teamed up with Chinese algorithm developer SenseTime on artificial intelligence (AI) and machine learning (ML) for future Snapdragon mobile and IoT chips. The collaboration will add SenseTime’s ML models and algorithms to the premium and high-tier Snapdragon platforms, which offer advanced heterogeneous computing capabilities for client based AI. The companies expect to drive the popularity and development of on-device AI in areas such as innovative vision and camera-based image processing. “To develop an AI ecosystem, it takes efforts from players in multiple industries,” said Dr Li Xu, co-founder and chief executive officer of SenseTime. “The strategic collaboration between SenseTime and Qualcomm Technologies will advance on-device intelligence by leveraging our algorithm and Qualcomm Technologies’ chipset. Together we’ll push the envelope and extend AI to places that are currently beyond reach. Our strategic collaboration will become a turning point for the whole AI ecosystem." Currently, Qualcomm Technologies is focused on optimizing the Snapdragon mobile platform to accelerate myriad AI use cases in the areas of computer vision and natural language processing — for smartphones, IoT and automotive — and is researching broader executions in the areas of wireless connectivity, power management, and photography. SenseTime's proprietary deep learning platform called Parrots allows a variety of AI algorithms to be developed with low cost and quick turn-around in small footprints. It has more than 400 customers and strategic partners including Qualcomm, NVIDIA, China Mobile, UnionPay, Huawei, Xiaomi, OPPO, vivo and Weibo. The first fruits of the collaboration are being demonstrated at the end of the month (October 2017). A new receiver technology developed by UCL in London and Cambridge University enables dedicated data rates at more than 10Gbit/s for a truly super-fast, yet low-cost, broadband connection to every home. "UK broadband speeds are woefully slow compared to many other countries, but this is not a technical limitation. Although 300 Mb/s may be available to some, average UK speeds are currently 36 Mb/s. By 2025, average speeds over 100 times faster will be required to meet increased demands for bandwidth-hungry applications such as ultra-high definition video, online gaming, and the Internet of Things," explained lead researcher Dr Sezer Erkılınç at UCL's Electronic & Electrical Engineering department. "The future growth in the number of mobile devices, coupled with the promise of 5G to enable new services via smart devices, means we are likely to experience bandwidth restrictions; our new optical receiver technology will help combat this problem," he said. Funded by the EPSRC UNLOC Programme and Huawei Technologies, scientists from the UCL Optical Networks Group and the University of Cambridge developed a simplified receiver that can cost effectively give each subscriber their own frequency band in a fibre. "To maximise the capacity of optical fibre links, data is transmitted using different wavelengths, or colours, of light. Ideally, we'd dedicate a wavelength to each subscriber to avoid the bandwidth sharing between the users," said Erkılınç. Although this is already possible using highly sensitive hardware known as coherent receivers, they are costly and only financially viable in core networks that link countries and cities. "Their cost and complexity has so far prevented their introduction into the access networks and limits the support of multi Gb/s broadband rates available to subscribers," said co-author and Head of the Optical Networks Group, Professor Polina Bayvel at UCL. 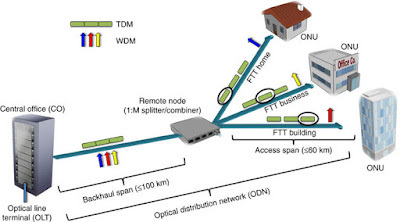 Simplification was achieved by adopting wavelength division multiplexing (WDM), a coding technique to fibre access networks that was originally designed to prevent signal fading in wireless communications and uses quadrature phase-shift keying (QPSK) and 16-quadrature amplitude modulation (QAM). This allowed for a low-complexity coherent transceiver that uses a polarisation-time block coding via digital signal processing (DSP) combined with heterodyne detection. This approach has the additional cost-saving benefit of using the same optical fibre for both upstream and downstream data. The transceiver has a 75% lower optical complexity, quantified by the number of balanced detectors, compared to conventional coherent receivers, which potentially eases the monolithic integration whilst preserving a high receiver sensitivity, robustness to chromatic dispersion, and colourless receiver operation due to its frequency/wavelength selectivity. "This simple receiver offers users a dedicated wavelength, so user speeds stay constant no matter how many users are online at once. It can co-exist with the current network infrastructure, potentially quadrupling the number of users that can be supported and doubling the network's transmission distance/coverage," said Erkılınç. The receiver was tested on a dark fibre network installed between Telehouse (east London), UCL (central London) and Powergate (west London). The team successfully sent data over 37.6 km and 108 km to eight users who were able to download/upload at a speed of at least 10 Gb/s. Chip maker Microsemi has launched a series of IP, tools and partnerships to boost the use of the RISC-V processor core on its FPGAs. The Mi-V RV32IMA development board and additional field programmable gate array (FPGA)-based soft CPUs are aimed at designs using RISC-V open instruction set architectures (ISAs), and can use other tools such as operating systems in an eco-system for developers. The open RISC-V ISA benefits from portability as well as enabling the open source community to test and improve cores at a faster pace than closed ISAs. As the RISC-V intellectual property (IP) core is not encrypted, it can be used to ensure trust and certifications not possible with closed architectures. Microsemi’s new Mi-V ecosystem brings together a number of industry leaders involved in the development of RISC-V to streamline RISC-V designs for customers. Design tools include Microsemi’s SoftConsole Eclipse-based integrated development environment (IDE), the firmware catalog and Libero PolarFire system-on-chip (SoC). Operating systems include Express Logic’s ThreadX, Huawei LiteOS and Micrium µC/OS-II. Boards include the RTG4 development kit, IGLOO2 RISC-V board from Future Electronics, PolarFire Evaluation Kit and more. Debug dongles from Microsemi and Olimex, first-stage bootloaders and numerous soft peripherals are also included. Example projects, drivers and firmware are all available on GitHub, the world’s largest repository of open source software. Microsemi is aiming the Mi-V soft CPU cores at IoT, secure communications and wireline bridging applications. Samsung has launched new secure Artik modules and provided a way to integrate them with its SmartThings cloud service which is merging with the current Artik cloud service. This will enable interoperability with both Samsung Artik systems and third-party IoT devices and IoT cloud services. The new ARTIK secure IoT modules combine hardware-backed security with pre-integrated memory, processing, and connectivity for a broad range of IoT applications, from simple edge nodes like sensors and controllers, to home appliances, healthcare monitors, and gateways for smart factories. This helps protect data and prevent devices from being taken over, disabled, or used maliciously. The modules provide a strong root of trust from device-to-cloud with a factory-injected unique ID and keys stored in tamper-resistant hardware. Samsung’s public key infrastructure (PKI) enables mutual authentication to the cloud to identify each device on the network and support whitelisting. Developers can use the new Secure Boot feature and code signing portal to validate software authenticity on start-up. In addition, the secure IoT modules provide a hardware-protected Trusted Execution Environment (TEE) with a secure operating system and security library to process, store, and manage sensitive resources, including keys and tokens on devices. Information is protected using FIPS 140-2 data encryption and secure data storage. The secure IoT modules will be available on November 30 through Samsung ARTIK partners. Samsung’s new SmartThings Cloud will unite all of the company’s existing IoT cloud services – Samsung Connect Cloud and ARTIK Cloud – into one consolidated IoT cloud platform. This seamless, open ecosystem will allow better and easier connectivity across an expanded set of devices and services from home to industrial applications. Samsung continues to try to reach profitability for the technology. This expansion includes the recent launch of the recent ARTIK service to monetize data from interoperable devices and enable an IoT data economy, as well as the addition of an Ubuntu Linux distribution on the high end ARTIK system-on-modules. The LoRa Alliance has tackled one of the main drawbacks with low power IoT networks in its latest protocol specification. The support for roaming will allow for large-scale deployments, since vendors will know that their LoRaWAN protocol-based products could potentially operate worldwide. At the same time, the new backend specification provides the protocols that interconnect servers with distinct roles––such as controlling the MAC layer, end-point authentication, or applications––behind the scenes in the core network. Separating these servers allows an open choice of vendors for each element of the value chain rather than requiring an end-to-end, global system. The 1.1 specification also includes support for handover roaming, which allows transferring control of the end-device from one LoRaWAN network to another. Earlier versions of this specification can already be used for passive roaming, which is transparent to the end-device. Bidirectional end-devices with scheduled receive slots (Class B) are part of the specification enhancements and are now officially supported. With enhancements for additional security hardening, both LoRaWAN 1.1 end-devices and networks will support backward compatibility to interoperate with their LoRaWAN 1.0.x legacy peers. This will support heterogeneous deployments and not force a globally coordinated upgrade. The Backend Interfaces 1.0 Specification includes the ability to break down the network into network server (NS), join server (JS) and application server (AS) and enables roaming for both LoRaWAN 1.0.x (passive roaming only) and LoRaWAN 1.1 networks (both passive and handover roaming). It allows the server to identify the entity that stores end-device credentials (including root keys) as JS and can be separated from networks and administered by an entity independent of the networks that the end-device may be using. This allows networks to offload the authentication procedure to a dedicated system, which can also be operated by a third party. This third-party JS also enables an end-device to be manufactured without having to be personalized for the networks it may eventually be connecting to. Synopsys has bought Sidense, a leading provider of one-time programmable (OTP) non-volatile memory (NVM) for automotive, mobile, industrial and Internet of Things (IoT) applications. The embedded one-transistor OTP technology is based on its patented split-channel 1T-Fuse bit-cell architecture that provides better yield, higher security, improved reliability and lower overall product cost. Sidense's antifuse-based OTP NVM technology offers ultra-low power, small area NVM IP with read access times as fast as 10 nanoseconds. A key advantage to Synopsys as a design tool adn IP supplier is that the IP can be manufactured in standard-logic CMOS fabrication processes and does not require any additional mask layers or process steps. The IP is in high-volume production in automotive, mobile and industrial applications. The technology will be added to the DesignWare Multi-Time Programmable (MTP) NVM IP solution with OTP NVM IP in 16-bit to 1.28-Mbit configurations. This gives Synopsys access to proven, market-leading OTP NVM IP in process technologies from 180- to 16‑nm along with a team of highly experienced R&D engineers. "Sidense's OTP NVM IP offers designers a secure, area-efficient solution for fuse replacement, secure key storage, device ID, analogue trim, and code storage," said Joachim Kunkel, general manager of the Solutions Group at Synopsys. "By adding OTP NVM from Sidense to our DesignWare IP portfolio, Synopsys provides designers with a broader NVM IP solution that offers small area, fast access times and high reliability for their SoC designs." CommAgility, now part of the Wireless Telecom Group, has launched a high performance DSP processing module in the compact Advanced Mezzanine Card (AMC) form factor. The AMC-4C6678-SRIO is an update of the previous AMC-4C6678, adding 20Gbps Gen2 RapidIO (SRIO) to an AMC.4 compliant backplane, to increase bandwidth and flexibility. RapidIO complements the module’s full Gigabit Ethernet infrastructure. The AMC-4C6678-SRIO uses four TMS320C6678 fixed- and floating-point octal core DSPs from Texas Instruments (TI) running at 1.25 GHz, giving a total performance of 640 GFLOPS and 1280 GMACS. It is ideal for a range of high performance DSP applications, including wireless telecoms, image sensor processing, transcoding and stepper control. The compact full-size, single width PICMG AMC.0 R2.0 AMC module can be used in both ATCA carriers and MicroTCA chassis. It can also operate standalone, with suitable power and cooling. A range of build options is available, and further customisation is possible in volume, to enable the best technical and commercial fit to a customer application to be achieved. ISARA in Canada has teamed up with Utimaco in Germany to test out different encryption technologies that could be used to secure the Internet of Things in a world with quantum conputers. The two have successfully run quantum-safe hash, lattice and multivariate-based digital signature algorithms for a Hardware Security Module (HSM) in initial laboratory testing. Utimaco, based in Germany, is a leading manufacturer of Hardware Security Modules (HSMs) that provide the root of trust to all industries, from financial services and payment to the automotive industry, cloud services to the public sector. HSMs help keep cryptographic keys and digital identities safe in order to protect critical digital infrastructures and high value data assets. Sony Europe's Image Sensing Solutions division is planning its first USB3 camera module as part of its move to CMOS image sensors. The first of the new modules is the XCG-CG160 which has a Gigabit Ethernet interface and a 1/3-type IMX273 sensor. Sony sees this as a low-disruption way to move from CCD to Global Shutter GSCMOS to replace cameras using the highly-regarded Sony ICX445 CCD sensor. The GSCMOS camera starred shipping in January 2016. The first module runs at 75 frames per second in SXGA resolution with 8bit colour. Black/white modules are available immediately and colour modules will enter mass production in December 2017. A version using the USB3.0 protocol is scheduled to enter mass production by Q1 2018. The modules are aimed at embedded applications such as print, robotics and inspection to ITS, medical and logistics, as well as being suitable for general imaging. The XCG-CG160 provides a simple migration path from CCD to GSCMOS without having to upgrade or change architecture. 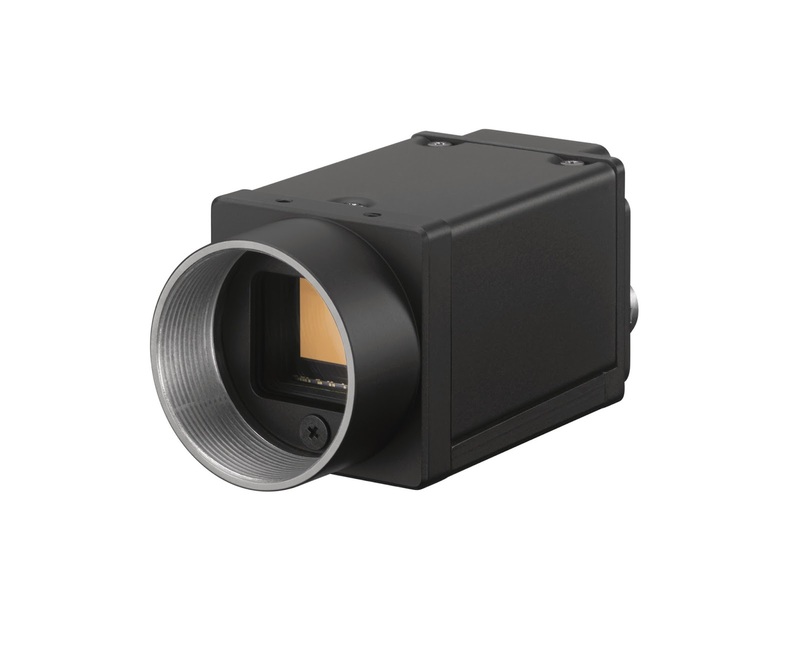 The IMX273 shares comparable sensor and pixel size characteristics with the ICX445, but offers improvements in sensitivity, dynamic range, noise reduction and frame rate. These include defect-pixel correction, shading correction with both peak and average detection and area gain to automatically adjust for the target object. The module also supports 2x2 multi-region of interest, flip and binning. The series uses a 1/2.9-type Sony Pregius GS CMOS sensor, delivering 1440 x 1080 (1.6 MP) images. The b/w module has a minimum illumination of just 0.5lx; the colour module requires just 12lx and comes with a manual, auto and one-push white balance setting. Both modules have a sensitivity of F5.6, a gain of 0 to +18 dB, a shutter speed of 60 s to 1/10,000 s.
"These cameras extract the best possible image from the IMX273 with additional performance enhancing unique features. With it, we believe, we have set the industry standard for an SXGA module," said Matt Swinney, Senior Marketing Manager, Sony Image Sensing Solutions. Sony's v1.1 firmware is certified by Cognex VisionPro and is GigE Version 2.0 compliant; allowing both hard and software triggering, with the module able to act as a both an IEEE1588 (PTP) master and slave. The firmware uniquely allows for up to 16 action cue commands, plus acquisition sequence scheduling and GPO control. The firmware also supports burst trigger and new event modes, as well as a reduced jitter function with single frame acquisition. An asynchronous image transfer enables a memory shot and output upon user demand, and its broadcast register write function enables synchronised camera feature controls to be implemented. The C-mount module uses a highly compatible GPIO with 1xISO IN, 1xISO OUT and 1xTTL IN/OUT. It measures 29 x 29 x 42 mm, with a weight of 65g and has an operating temperature of -5°C to +45°C. Synaptics and NXP Semiconductor are using Arrow Electronics to distribute a variant of the Synaptics AudioSmart 2-Mic Development Kit for Amazon AVS that is supported by a commercially available NXP system-on-chip (SoC) application processor. This variant enables device makers to quickly and cost-effectively integrate the Amazon Alexa Voice Service (AVS) into a fully functioning prototype, and then take that work into design for manufacturing and production. 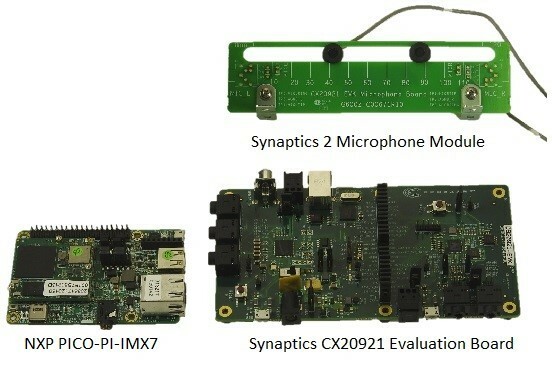 The Synaptics AudioSmart 2-Mic Dev Kit for Amazon AVS includes Synaptics’ CX20921 Voice Input Processor with a dual microphone board and a wake-word engine tuned to "Alexa." 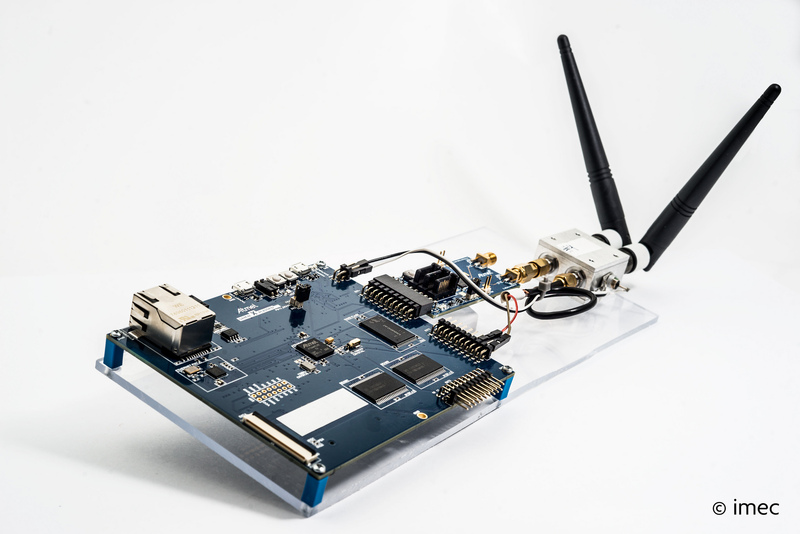 It is built on the pico-imx7d board, a purpose-built small-footprint hardware platform which features NXP’s i.MX7D dual-core applications processor optimized for the internet of things (IoT). The kit also includes stereo microphones with an integrated processor, a microphone holder board, a micro USB cable, Type-A to Type-B cable, cable assembly and a +5V power supply. The i.MX7D has dual Arm Cortex-A7 cores at speeds of up to 1.2 GHz, as well as the Arm Cortex-M4 core. It supports multiple memory types including 16/32-bit DDR3L/LPDDR2/LPDDR3-1066, Quad SPI memory, NAND, eMMC, and NOR. Several high speed connectivity connections include Gigabit Ethernet with AVB, PCIe, and USB. 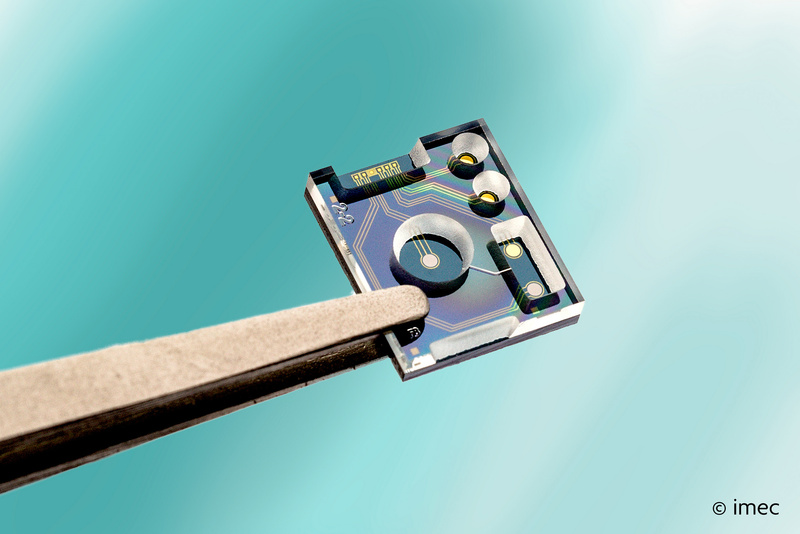 Both parallel and serial Display and Camera interfaces are provided, as well as a way to directly connect to the Electrophoretic Displays (EPD). The development kit features a reference client built using the AVS Device SDK (software development kit), enabling commercial device makers to get to market faster with Alexa-enabled products. “This new Synaptics development kit with an NXP SoC for the Amazon Alexa Voice Service can add intelligent voice control to connected products with a microphone and speaker, enabling developers and engineers to rapidly create Alexa-enabled proof of concepts and prototypes,” said Murdoch Fitzgerald, vice president of semiconductor marketing at Arrow. The Synaptics AudioSmart 2-Mic Dev Kit for Amazon AVS with NXP SoC is available exclusively from arrow.com for $375. STMicroelectronics has teamed up with Alibaba Cloud, the cloud computing arm and business unit of e-commerce group Alibaba to provide a complete cloud-to-node IoT solution. The cooperation will allow any designer to easily create IoT nodes and gateways using ST’s key semiconductor building blocks for the IoT, run Alibaba’s IoT operating system AliOS on the node, and seamlessly connect with the Alibaba Cloud for faster time-to-market of large-volume IoT applications. With the official release of AliOS, ST has made the AliOS available to run on its ARM Coretex-M-based STM32 microcontrollers (MCU). Beyond processing, designers will get access to ST’s complete portfolio covering all the key building blocks for the IoT, including connectivity, security, sensors, power management, and signal conditioning. ST’s modular and interoperable IoT development platform spans state-of-the-art semiconductor components, ready-to-use development boards, free software tools, and common application examples. The ST/Alibaba collaboration assures development efficiency and access to the first Chinese IoT turnkey platform, bringing greater convenience and productivity to developers when creating IoT nodes and to integrators when connecting to the Alibaba Cloud. Customers also get a head-start on time-to-market with AliOS’s pre-validation of all software components on the platform, easing security provisions and field device upgrades. “By collaborating with Alibaba, we can provide developers in China with the STM32 platform to build IoT nodes running AliOS. This gives customers a head-start to using the combination of AliOS Node-to-Cloud complete vertical solution and the broad portfolio of ST’s IoT technologies that includes sensors, processing, security, connectivity, and power,” said Arnaud Julienne, Vice President, Microcontroller, Memory, and Secure MCU & IoT, Asia Pacific Region, STMicroelectronics. “Alibaba, a rich and powerful platform for everyone to conduct business, will help different IoT market players, both large and medium/small businesses, to find their customers or vendors. Alibaba is cooperating with ST to build joint solutions from Cloud to Node, to include security in applications, and we definitely believe AliOS and ST chipsets can help customers achieve their targets in the IoT mass-market,” said Ku Wei, general manager of IOT BU of Ali Cloud BG. The MIPI Alliance,has formed an Automotive 'Birds of a Feather' (BoF) Group to get industry input from original equipment manufacturers (OEMs) and their suppliers to enhance existing or develop new interface specifications for automotive applications. The group is open to both MIPI Alliance member and non-member companies to represent the broader automotive ecosystem. While MIPI stared out developing interface specifications for mobile and mobile-influenced industries, cars have become a new platform for innovation, and manufacturers are already using MIPI Alliance specifications as they develop and implement applications for passive and active safety, infotainment and advanced driver assistance systems (ADAS). MIPI interfaces such as Camera Serial Interface 2 (MIPI CSI-2), Display Serial Interface (MIPI DSI) and Display Serial Interface 2 (MIPI DSI-2) are used for a variety of low- and high-bandwidth applications that integrate components such as cameras, displays, biometric readers, microphones and accelerometers. MIPI I3C helps automotive systems designers use multiple sensors in a space-constrained form factor. Highly sensitive, mission-critical automotive applications also benefit from MIPI interfaces' low electromagnetic interference (EMI). However interfaces such as MIPI CSI are designed for short distance links in cell phones up to 30cm, The Automotive BoF Group's initial focus will be to examine how MIPI specifications can potentially be extended to support communication link distances up to 15m, and at the same time support the high data rates associated with cameras and radar sensors for autonomous driving systems. "Automakers already rely on MIPI Alliance's industry-standard interfaces to enable a wide variety of applications, including collision mitigation and avoidance, infotainment and navigation," said Matt Ronning, chair of the MIPI Alliance Automotive Subgroup and the Automotive BoF. "This call for participation helps ensure we cast a wide net to capture expertise to aid with extending existing and shape future MIPI specifications and collectively help realise the vision of how connected cars and automotive applications will evolve over the next decade. Just as mobile handset manufacturers benefited from the standardisation that MIPI Alliance has provided, automotive OEMs would similarly benefit." "Active participation of automotive OEMs, tier-one and tier-two suppliers is greatly appreciated and necessary to, for example, work out the data link requirements between surround sensors, electronic control units, actors and displays for driver assistance and autonomous driving projects beyond 2020 and incorporate them into MIPI interface specifications," said Uwe Beutnagel-Buchner, vice chair of the MIPI Alliance Automotive Subgroup and the Automotive BoF. The MIPI Automotive BoF is seeking additional qualified experts from OEMs, tier-one suppliers, component suppliers and related companies to provide key input into current and future MIPI interface specifications. The Automotive BoF is expected to convene via teleconference on a biweekly basis, with face-to-face meetings planned as necessary. Companies already participating in MIPI Alliance’s Automotive BoF Group include: Analog Devices; Analogix Semiconductor; BitSim; BMW; Cadence Design Systems; Continental; Etron Technology; Ford; Microchip Technology; Mobileye, an Intel Company; NVIDIA; NXP Semiconductors; ON Semiconductor; Parade Technologies; Qualcomm; Robert Bosch; Sony; STMicroelectronics; Synopsys; TE Connectivity; Tektronix; Teledyne LeCroy; Texas Instruments; Toshiba; Western Digital and others. Analog Devices (ADI) has signed a strategic research partnership with imec in Belgium to develop the next generation of Internet of Things (IoT) devices. The two already have two programmes underway for low power systems with improved—or completely new—sensing capabilities. The IoT continues to grow and mature, and by 2020, it is expected to consist of billions of connected, “smart” objects that rely on unobtrusive sensors to constantly monitor the environment, provide status reports and receive instructions. By intelligently processing the data gathered, these devices then drive some type of short-term or long-term action. Today, however, the underlying sensors, and the chips upon which they are built, are often too big, too expensive and not accurate enough to be practical. One joint research initiative focuses on localization technology. A second initiative includes the creation, and ultimately the commercialization, of a highly-integrated liquid sensor that can be used in a variety of application domains, such as the analysis of water, blood or urine. “Our single-chip sensor comprises multiple electrodes and excels in terms of cost and size, while demonstrating industry leading sensitivity and accuracy,” she added. “In ADI we have found a partner that brings to market professional-grade, high-value-add sensor systems. Thanks to ADI’s commercial insights, in combination with its innovative mindset, we can build differentiating technology that meets IoT market requirements today and tomorrow,” added Rudi Cartuyvels, Executive Vice President at imec. The strategic partnership between ADI and imec is part of a broader, open research initiative to which other research partners are also invited to contribute. For transmitters in Berlin from Deutsche Telekom have gone live with 5G New Radio links. While these are highlighting connections at 2Gbit/s and carrying live transmissions of ultra-high-definition video, the key factor for embedded network designers is the latency of just 3ms. 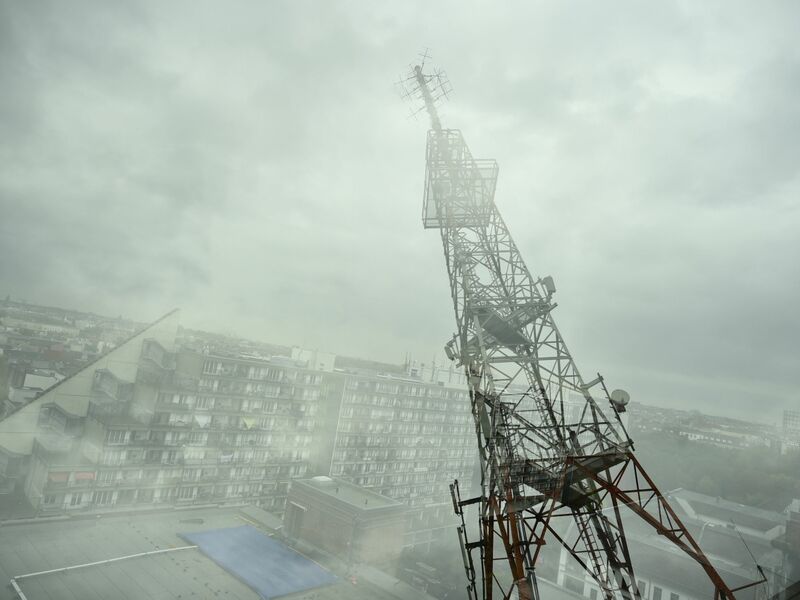 To accelerate the development of new applications for 5G, Deutsche Telekom recently launched the Low Latency Prototyping Programs at its hub:raum sites in Berlin and Krakow. The programs are aimed at innovative developers who want to develop products using edge computing, as well as 5G network performance as it emerges. The four radio cells in the Deutsche Telekom network are the first in Europe with a live 5G connection in a real world setting. Using pre-standard 5G New Radio (5G NR), the network is achieving throughput of more than two gigabits per second to a single customer device, as well as a latency of three milliseconds on commercial sites in Berlin's Schöneberg district. Deutsche Telekom is using the 3.7GHz band with Huawei equipment for its implementation in Berlin. The four Huawei antennas are located at three different sites: Winterfeldtstraße (two cells), Martin-Luther-Straße and Pohlstraße. “5G is getting close to prime time. The successful live transmission over 5G is an important technical contribution to the 5G community for the two companies. Huawei will continue investing in Research & Development and enhance its cooperation with partners to make progress in 5G technology and the development of an industry ecosystem,” said Deng Tai Hua, president of the Huawei Wireless Network Product Line. "We are demonstrating 5G live here, in the middle of Berlin, rather than in a lab. This is a very decisive developmental step on the way to the global launch of 5G, which is planned for 2020," said Claudia Nemat, Member of the Management Board responsible for Technology & Innovation at Deutsche Telekom. "If everything is connected to everything else, customers need a high-performance, reliable and secure network. Industry in particular will benefit from 5G as a powerful enabler for a wide range of applications. We are ready for 5G." Deutsche Telekom demonstrated the network's high performance by showcasing some early application ideas that are enhanced by 5G. The augmented reality (AR) and virtual reality (VR) applications benefit from 5G’s high data rates and real-time responses. The new network architecture and design will also play a significant role as they will be controlled by software, will be programmable and will be managed end-to-end. This creates the enabling platform for the provision of a large number of different services. 5G New Radio, the new 5G air interface, will work in combination with the evolution of 4G/LTE technology using massive MIMO (multiple input/multiple output) antenna elements deployed at both the base station and in the subscriber device, which can increase capacity through a much more efficient use of the frequency spectrum. The specifications in the Huawei equipment used are following the progress of the global 3GPP specifications for the 5G New Radio standard. It is anticipated that the specifications of the system used will be completed by 3GPP in December 2017. Deutsche Telekom is piloting the use of 5G for industry at the Port of Hamburg. The aim is to tailor the 5G network to meet the diverse requirements of the port. Traffic control data, reliable traffic light steering and environmental monitoring are the first application scenarios for 5G. This enables the digital transformation of the port to support its future growth. For more information, see Deutsche Telekom's 5G Special.